I’ve been away from my blog for a few weeks and with good reason: I was on holiday! And yes, the weather was nice, we had a great time, we visited a lot but managed to relax and as always it was way too short… The relaxed feeling was gone all too quickly once I struggled through the pile of mails at work so it’s back to another relaxing hobby: baking. 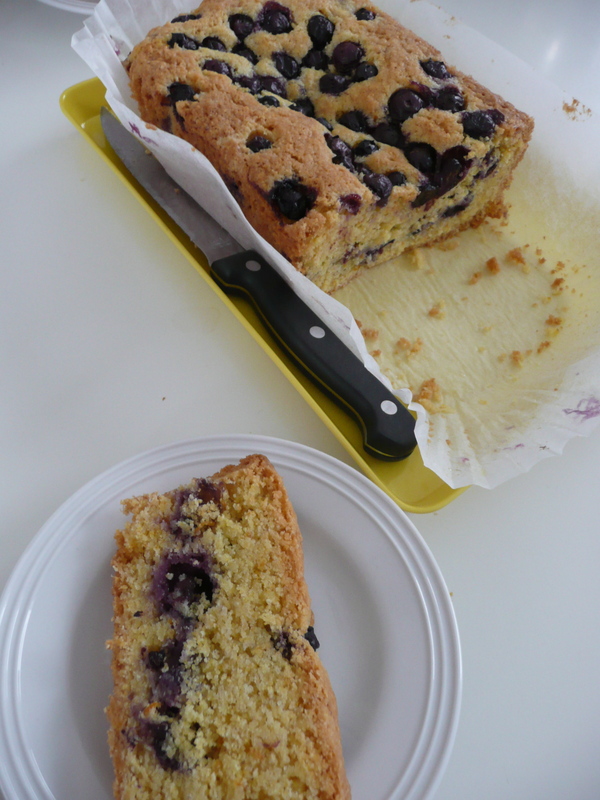 By now you probably realised that blueberries, along with raspberries, are among my favourite fruits and in this cake they almost pop in your mouth as you eat it. 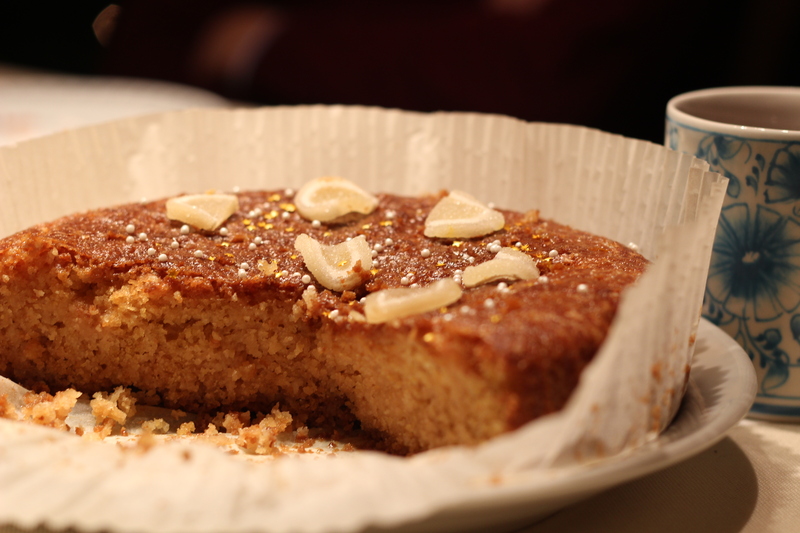 I found the recipe in a recent GoodFood magazine and as always it tasted delicious. First, heat the oven to 140 C and line a loaf tin with baking parchment. Put 100 g polenta, 200 g self-raising flour, 140 g sugar, 1/2 tsp baking powder, 140 g softened butter and the zest of 1 orange into a food processor and pulse until the mixture resembles breadcrumbs. If you don’t have a food processor or if, like mine, it decided to break down, just get your hands in it and rub the butter through the mixture until you get the same result (it won’t take long, I promise). Combine the juice of 1/2 orange with 1 egg, then pour this into the dry ingredients and pulse until the mixture forms a ball of dough (or get your hands in it again to achieve the same result). Push half the dough into the lined tin and scatter with half of 200 g blueberries. Cover the berries with the remaining dough and finish with the remaining berries. Bake for 1h10 until a skewer inserted in the middle comes out clean. Leave to cool in the tin for 10 min before transferring to a wire rack. Cool completely before eating. 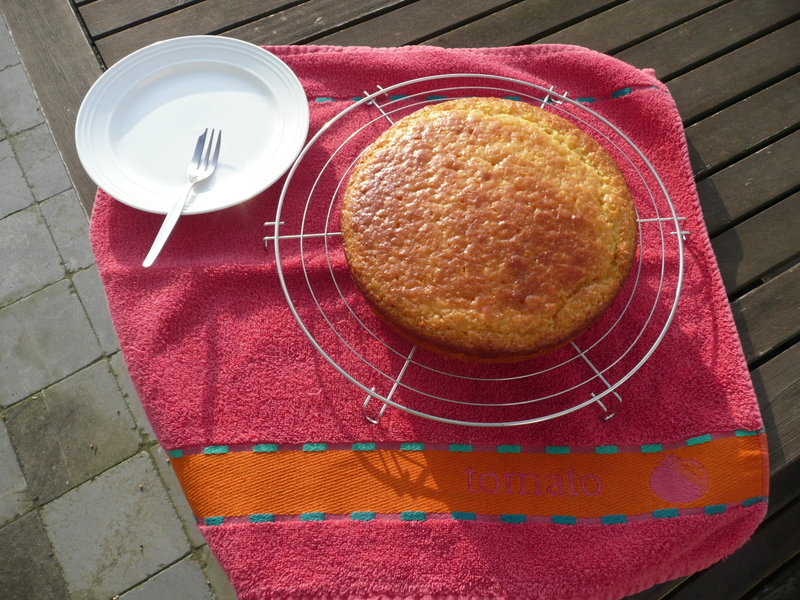 If you want, you can freeze the cake (or pieces of it) as well: wrap in a double layer of foil and pop in the freezer. Defrost for at least 3 h before eating. Enjoy while listening to Summernights, the ultimate Grease classic.